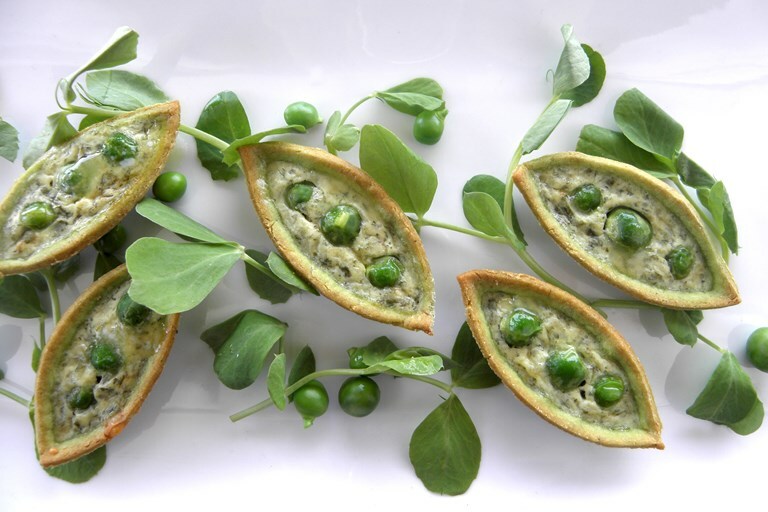 This pretty mini pea and mint tarts recipe is made with green pea flour, an underrated gluten-free flour with a delicious subtle pea flavour. 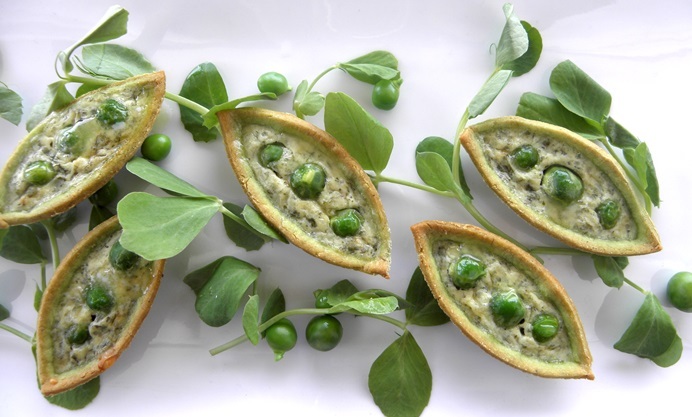 Howard fills them with a vibrant mint and pea filling for a wonderful summertime canapé. With British pea flour now on sale, I took some vegetable patch inspiration for these gluten-free canapés. Sweet as the moment when the pod went pop, fresh peas need the briefest of blanching to bring out their bright colour, and mint and lime add clean verdancy. Pea flour pastry is a revelation – unlike so many gluten-free pastry doughs, it’s a breeze to work with – no cracking or crumbling – and you can roll it as soon as it’s made, without needing to chill it first. It’s worth investing in at least six tiny boat-shaped tins (I went for the smallest, which are 8cm x 1.5cm), though you could bake round tartlets instead.